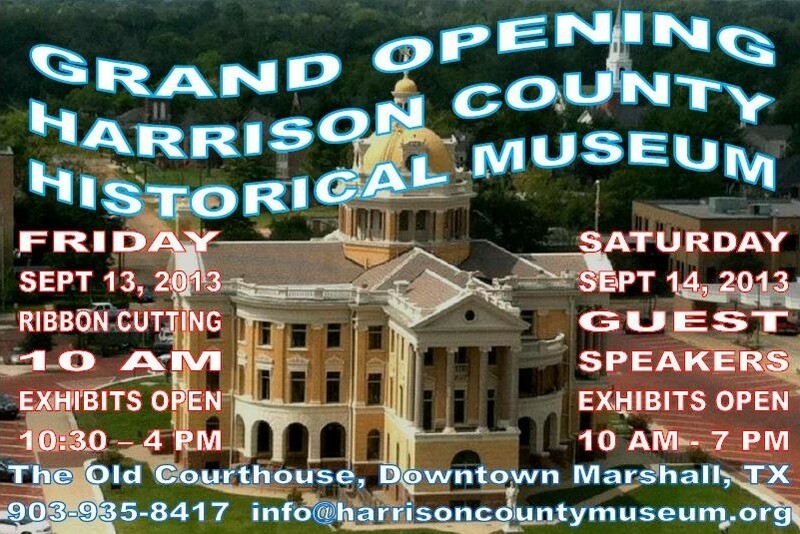 The eagerly-awaited grand opening of the Harrison County Historical Museum is Second Saturday Weekend in September. The museum is housed in the beautifully restored 1901 Harrison County Courthouse. A great weekend to come to Marshall for Main Street’s all-day festival, a great free concert at night, and live music in all the clubs.